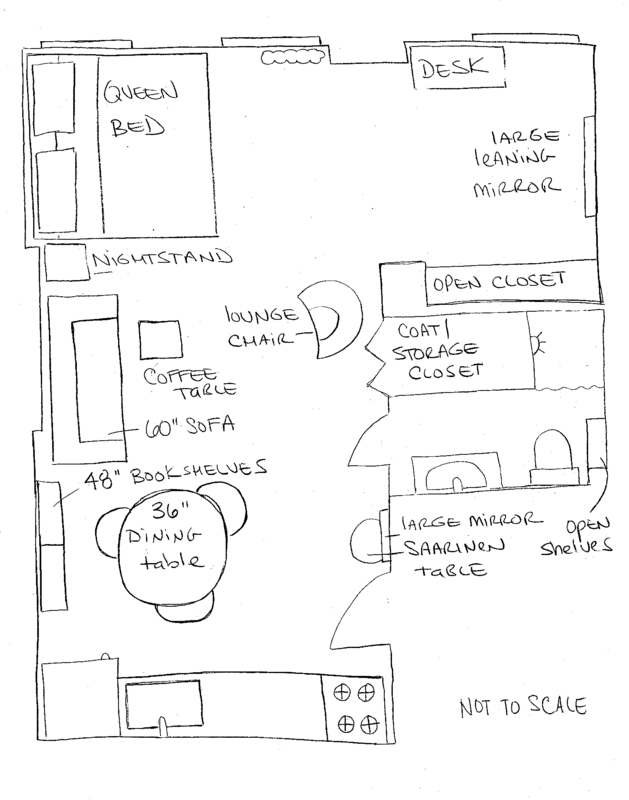 This floor plan is what I’ve been thinking all along with some minor adjustments. Many people make the mistake of trying to plan the whole thing at once, which is really hard, so they stress about it. I like to work organically; making the easy decisions first by letting the space tell me what to do, and leaving anything not obvious to the end. For instance, my litter box doesn’t fit in this bathroom so I don’t know where it’s going to go, but instead of harping on it I am planning out other things and eventually I will figure it out.